Marshall Building and Remodeling, Inc. Comment: One window / double pain / air leak and stained. Numerous windows that won't stay up. Replace or repair the screens. Basically repairs of windows on both floors. Barnes Building and Remodeling, Inc.
Roland & Son Construction, Inc.
Cranston Window Replacement Companies are rated 4.74 out of 5 based on 1,316 reviews of 29 pros. 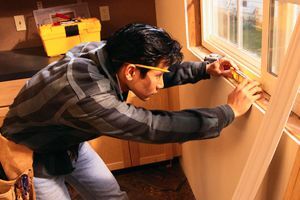 Not Looking for Windows Contractors in Cranston, RI?